• SINGLE-STAGE trickling filters (sewage with BOD lower than 400 mg/L after decantation). • DOUBLE-STAGE trickling filters (sewage with BOD higher than 400 mg/L after decantation). • DOUBLE-STAGE Systems (heavily loaded sewage treated by degreaser percolator and active sludge). • Enhancement of existing installations, as adjunct until or as a substitute of a traditional system. 4 to 6 mm. Primary decantaion is always advised in these cases. • The direct recycling of the effluent from the percolator permits simple installation. High specific surface which delivers high BOD removal yield even in case of high organic loads. 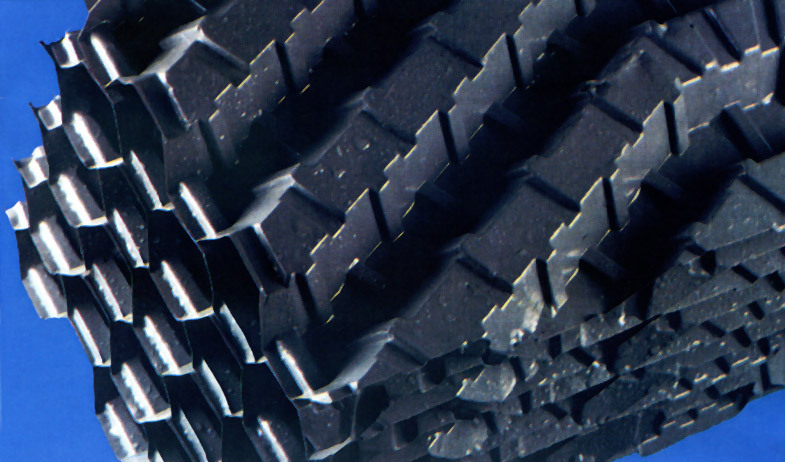 • Lower energetic costs compared to active sludge systems. • Simple management and high-load resistance over longer periods of inactivity. • Lightness which allows installation of more simple and less costly percolators compared to traditional ones. 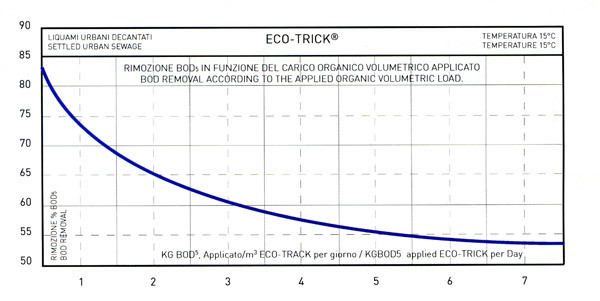 ECO-TRICK's removal efficiency is directly linked to the applied organic load.